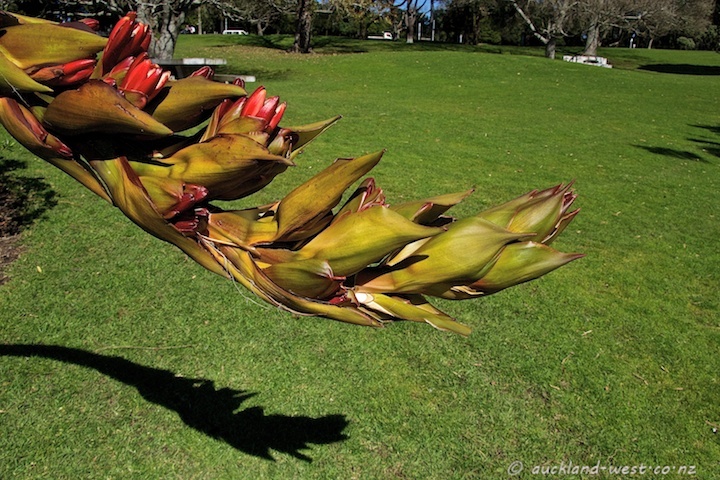 The Giant Spear Lily (doryanthes palmeri) is a native of Australia. The plants are huge, agave-like rosettes, and the flowering stalk can reach 3 metres, curving over elegantly under its weight. This plant is just starting to flower at Western Springs.